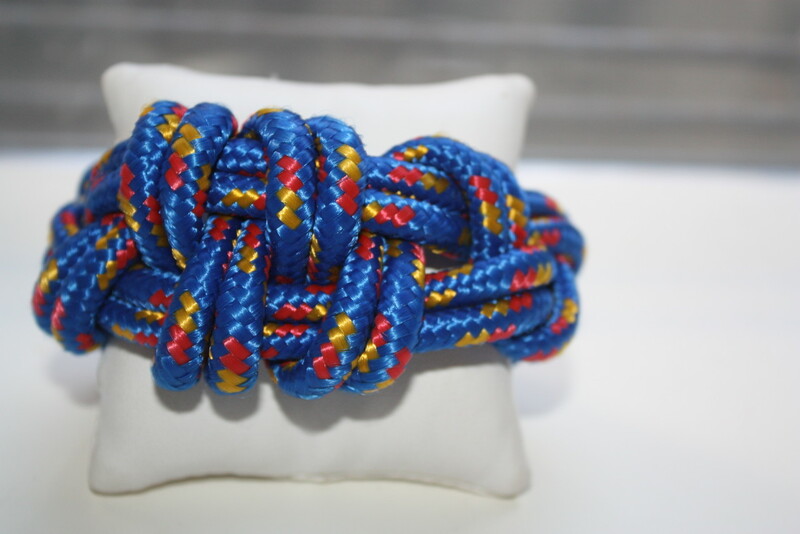 A nod to the nautical, outdoorsy and all things urban. 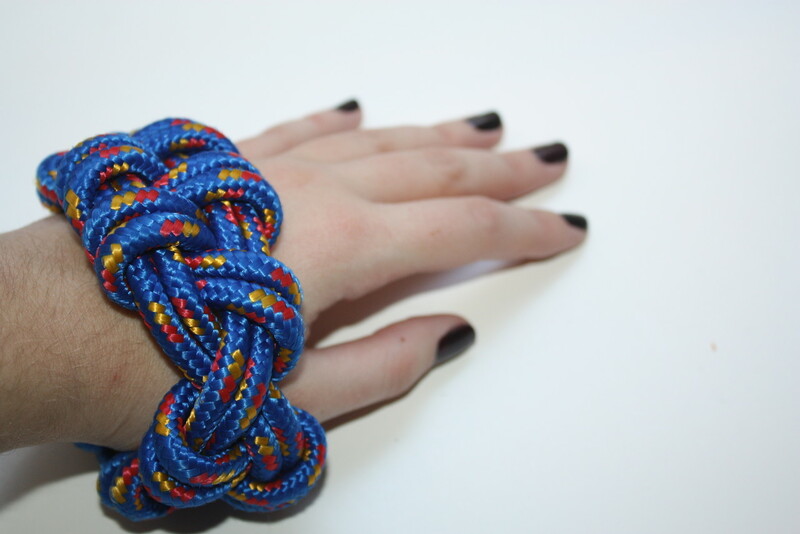 This is a great statement cuff bracelet, it adds a pop of color to an outfit. 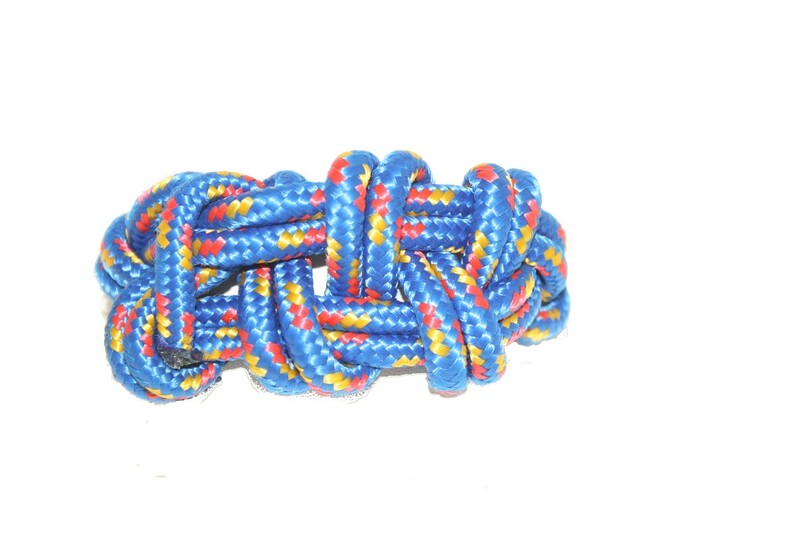 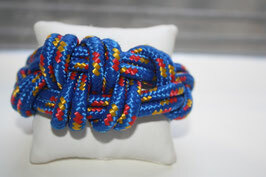 Made of blue w/ yellow and coral specs-cotton/nylon rope, soft, bendable, one size fits most. 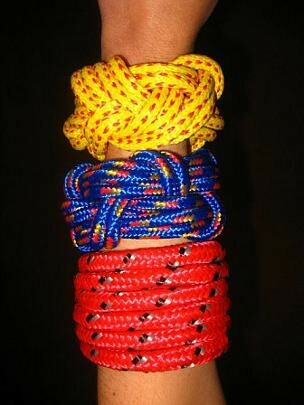 Opening measures 3" inches, 2" inches wide.